All on four is a new implant treatment suitable for all those who suffer from a total or partial loss of teeth or have a badly damaged bone or no bone at all. Now, thanks to this new technique, everyone can cherish the aesthetics and functionality of their mouth. All this will result in a better quality of life. What is the All on four technique? 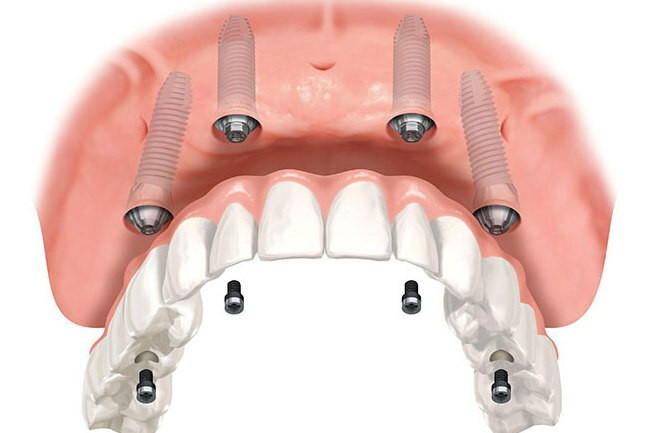 The idea is to place four implants that provide optimal and stable support for the rehabilitation. The patient comes to the clinic in the morning where a low-impact surgery to place the implants is performed. In the afternoon the patient already leaves with the teeth in their place. A few months later the final prosthesis is made and placed. This technique is usually highly recommended for a total rehabilitation of the mouth. All on four is advantages only: it is a definite solution, a guarantee of the recovery of the smile and the functionality of the mouth, and with only four implants we can restore a full arcade. For which patients is it the best choice and what diet to follow? It is suitable for all types of patients. 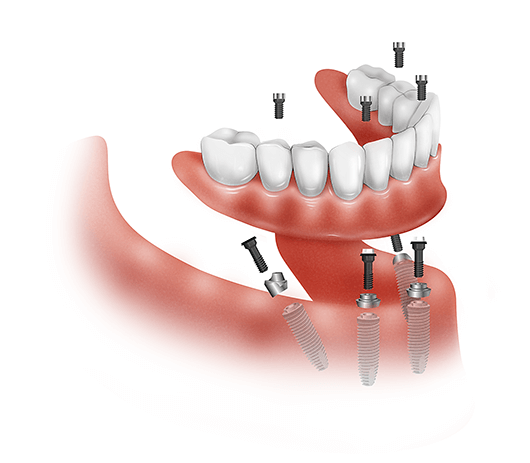 Thanks to All where four offers we can make the rehabilitation of the mouth with four or more implants even in those patients with little bone left and who, until recently, had to resort to the bone graft. Once the prosthesis and implants have been fitted the patient must follow a soft diet. With regard to the daily hygiene, you should brush the teeth as if they were your own. We highly recommend the irrigator brushes in order to clean the remnants of food underneath the prosthesis. The same hygiene as usual must be maintained with the ultimate prosthesis. We also recommend the use of a special dental floss that is designed for this type of prosthesis. Afterwards the patient can return to the normal diet.